As we get new information on all of the 2018 Porsches, this article will be updated. So bookmark it! The hard-edged GT3 is still rear-wheel-drive only. 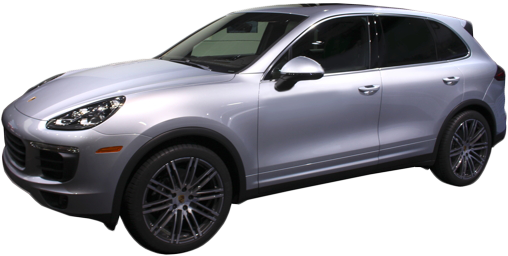 It gets a bump in power: 500 horsepower from its 4.0-liter flat six (the only non-turbo Porsche engine left). It also offers an optional 6-speed manual transmission for the purists. 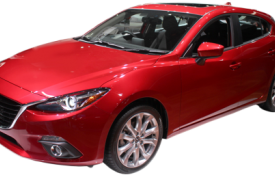 The 6-speed also reduces overall weight by 37 pounds, to 3116. 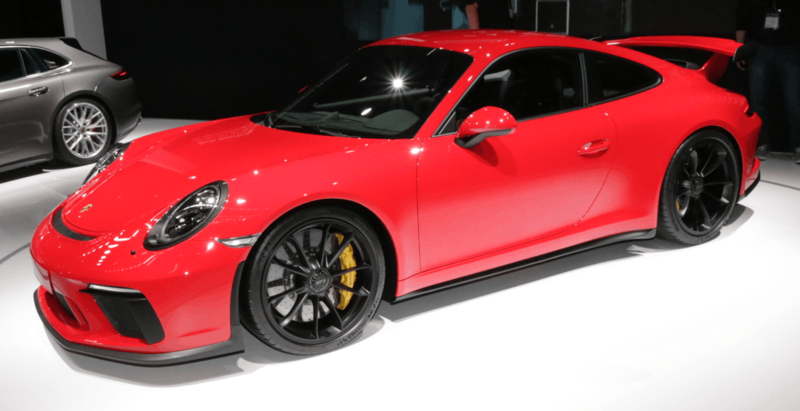 The GT3 includes the brakes from the 911 Turbo and rear-wheel steering. It also utilizes the larger tires from the Turbo, but with even wider wheels: 245/30ZR front tires on 20" x 9" wheels and 305/30ZR rear tires on 20" x 12" wheels. 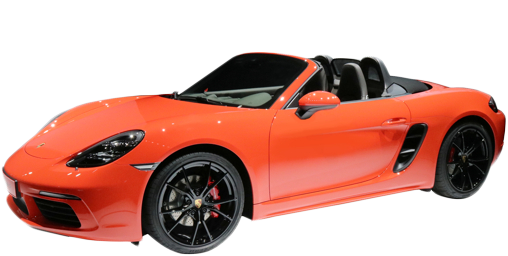 The GTS variant is being added back to the 911 line for 2018. This time it uses a turbocharged engine, as the entire 911 lineup (except the above GT3): 3.0 liters, flat 6-cylinder makes 450 horsepower. 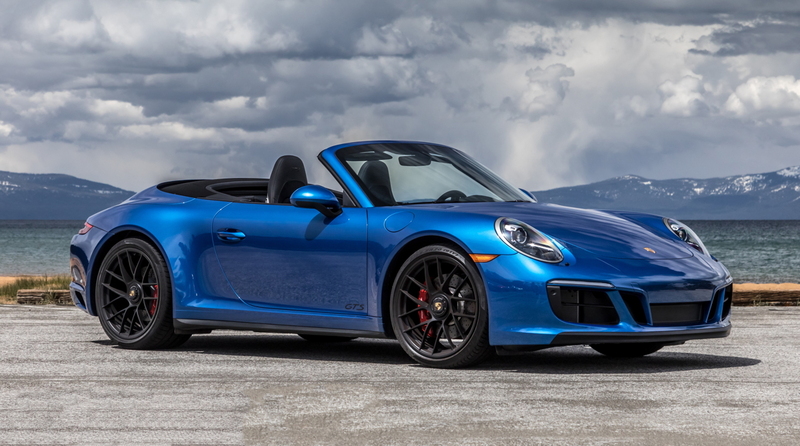 The GTS is available as a coupe, cabriolet or Targa; with and without all-wheel-drive; with a 7-speed manual or a 7-speed PDK (sequential clutchless gearbox) transmission. 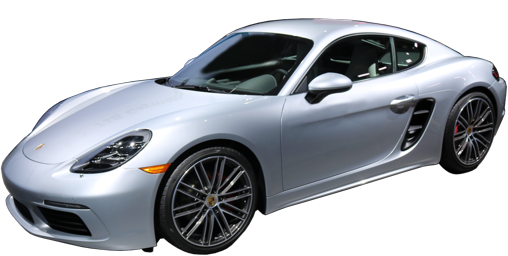 You can save over $3000 because the 911 S offers a power kit option with the same output. Wouldn't want to miss anyone in between the $191750 911 Turbo S and the somewhat more daunting $294,250 GT2 RS. The 911 Turbo S Exclusive Series adds 37 horsepower for a total of 607. $258,550 with destination. Finally, the ultimate 911 returns in 2018. 700 horsepower, all-wheel-drive, 7-speed PDK, standard carbon ceramic brakes and Zero to Sixty MPH in 2.7 seconds. 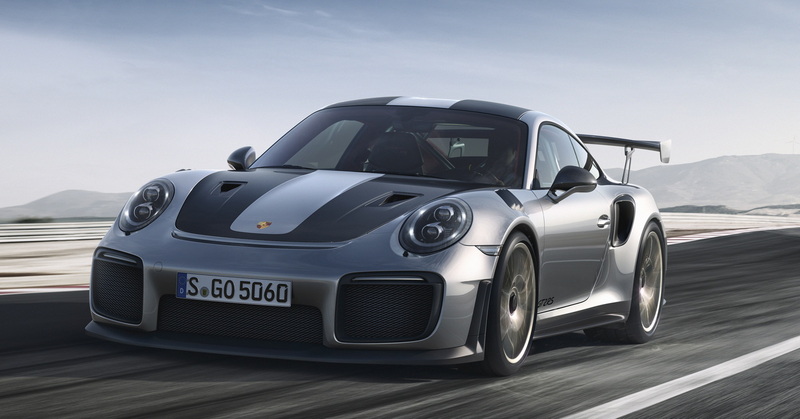 The GT2 RS also has larger tires than other 911 models: 265/35ZR20 front and 325/30ZR21 rear. If you have any spare change left, shoot for the Weissach Package ($31,000) and get magnesium wheels (What "mag" wheels used to made of. ), extra carbon fiber and special logo badges. The base model is now available: 300 horsepower. 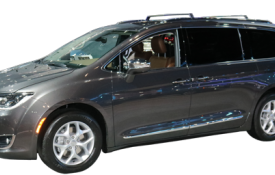 A station wagon arrives! 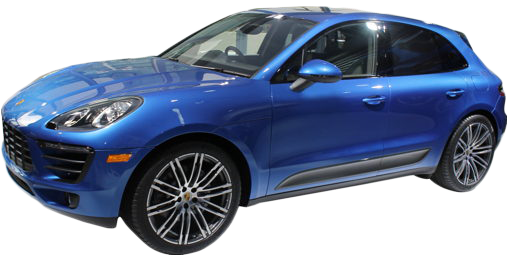 Called "Sport Turismo" so no one will get the idea that they can pick up a week's worth of groceries in it or deliver their kid to college, the new Panamera body style adds modestly to cargo capacity, up less than a cubic foot to 18.3 cubic feet with the rear seats up. 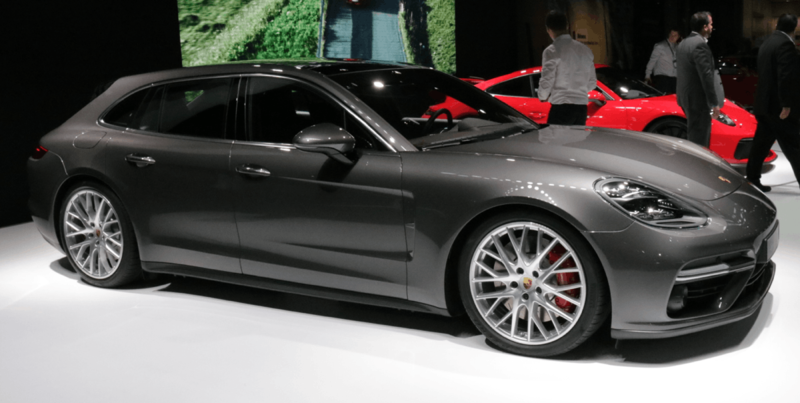 The Sport Turismo only comes wth all-wheel-drive, in base (3.0 turbo V6 330 horsepower), 4S (2.9 twin turbo V6 440 horsepower), 4 E-Hybrid (plug-in hybrid 2.9 twin turbo V6, 462 total system horsepower), and Turbo (4.0 twin turbo V8 550 horsepower). Ordering the optional Bose stereo (available on all models) now adds active noice cancellation.